Kris Wu Yifan [吴亦凡] attended the Harper's Bazaar Charity Night on 19th September 2014 in Beijing, China. 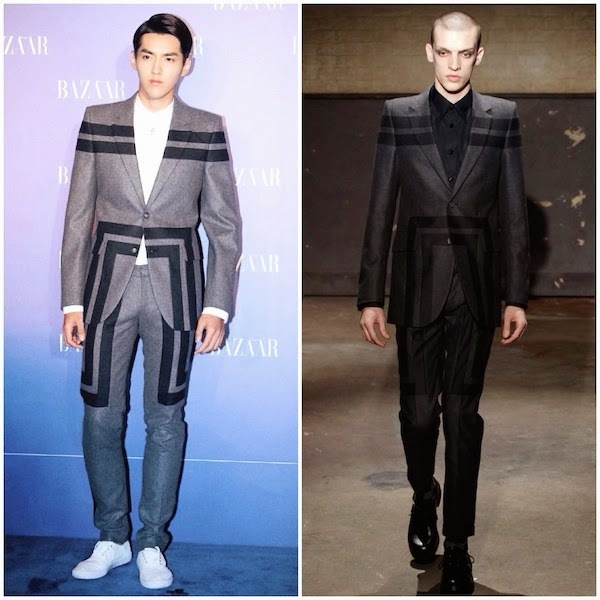 Kris Wu wore a grey flannel two button suit with geometric patchwork design from Alexander McQueen Fall Winter 2014. The Chinese artiste wore the suit over a white shirt and white plimsoles. 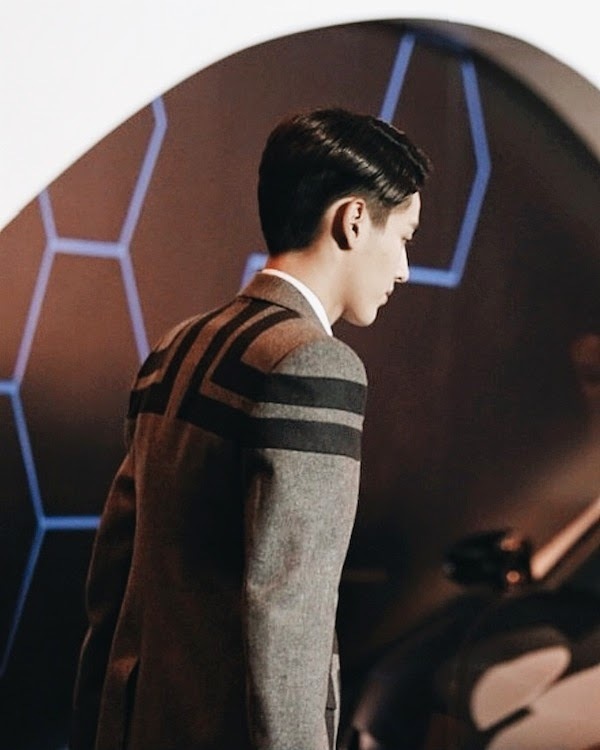 A very difficult suit to wear because of the bold geometric print, but I must say Kris Wu gave it a good attempt. Love his sleek combed hair and pattern at the back of the suit which gave it a very 1940s feel. The pairing of the white sneakers kept the look modern, but I wish it was better leather sneakers than the back to school ones. A very different look to how it was presented on the runway, I would not want to bump into that model on a darkly lit street.